The time has finally come to exorcise the demons of last year’s Champions League campaign. Last year’s run, ending in the group stage as we all know, has been a sore point for all Juventini. We’ve used it to argue about the old coach, other fans have used it to abuse us – though to be fair, this was usually done as Juve crushed the fans’ respective teams in Serie A action – and it’s been haunting all of us as we know that Juventus are one of the better sides in Europe, and we know that we can and have done better on the European stage in the past. Like, for example, the previous season’s run to the quarter finals. But that was then, this is now, and we have a new campaign with new group stage opponents: Atletico Madrid, FF Malmo, and Olympiakos. It’s quite a fitting group for the Champions League, as all four teams are reigning champions of their respective leagues. 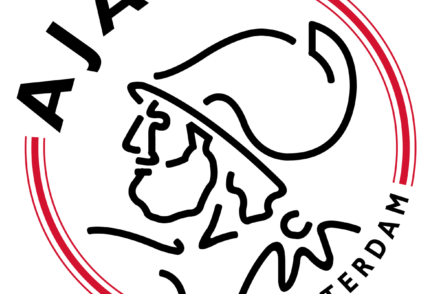 That said, let’s move on to the first game, at home versus Malmo. Despite the cries of an “injury crisis earlier this week, Juventus actually have most of their players available for Max Allegri to choose. In fact, Andrea Barzagli and Giorgio Chiellini are both back in the squad, one returning from injury and one returning from suspension and a mild injury. However, Barzagli is highly unlikely to start, while Chiellini is almost a lock to start. He’ll be joined in defense by Gianluigi Buffon, Martin Caceres, and Leonardo Bonucci. Meaning, we are likely to see three men in defense again. Ironically, Allegri has so far stuck to the 3-5-2 – though his is not the same as Juve’s 3-5-2 last year – and it seems he will do so in the first Champions League match as well. Now, this is definitely the first choice defense with Barzagli injured. Heck, given Caceres’ form since March, it may be our best defense period. But, the positional battle between Caceres and Barzagli is worth a deeper look, so for now we will just have to note Caceres’ fine form. Outwide, look to see Stephan Lichtsteiner – fresh off of a great game versus Udinese – and Patrice Evra – who had a not so great game. Where’s Kwadwo Asamoah? Well, he’s probably going to start in midfield for only the second time in his Juventus tenure. That is, if Simone Padoin doesn’t pip him to the spot. It’s being reported that Padoin and Asamoah are battling it out for a starting spot tomorrow, but it seems to me as if Asamoah is the obvious favorite. Claudio Marchisio and Paul Pogba round out the midfield, with Arturo Vidal still out with an injury, at least until next weekend. Finally, Max looks to keep it simple up top by starting Carlos Tevez and Fernando Llorente, the dangerous duo. Will Tevez score his first Champions League goal of the decade? 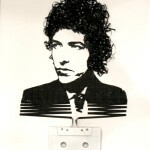 You’ll have to watch to find out. One never really knows what to expect when Juve faces these smaller European sides. 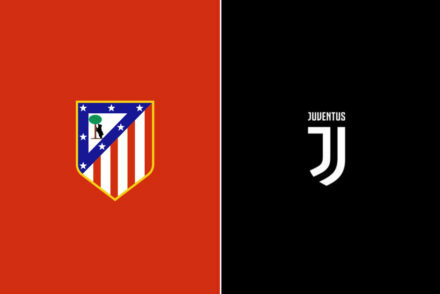 Sure, they’re not Barcelona, but they are still champions of their respective league and as we have seen in recent history – these small champions can put up a big fight against Juventus. In fact, Malmo deserve respect given their road to the Champions League. They had come from behind victories in both of their last two playoff rounds, versus Sparta Prauge and Redbull Salzburg. So, this is not a side that gives up easily, and I doubt they will do so just because they are playing Juventus. 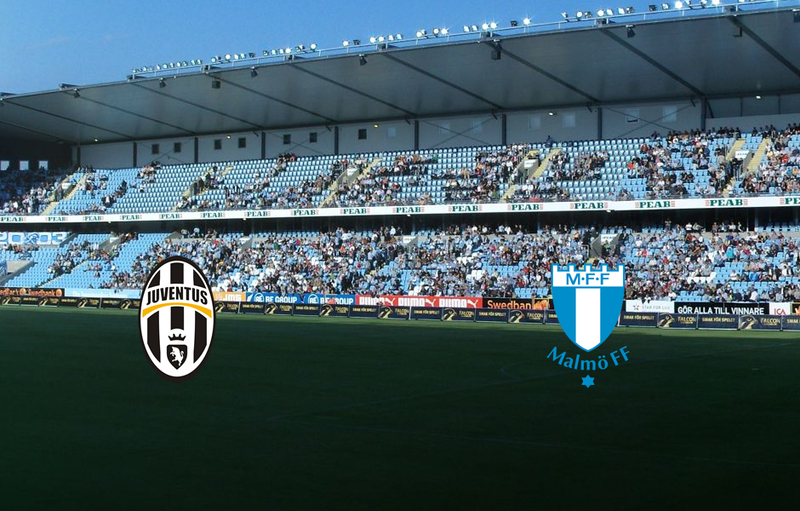 Luckily for us, there is a big Juve fan who lives in Malmo, @JuventinoTurin. Here are some comments he had on Malmo’s side. 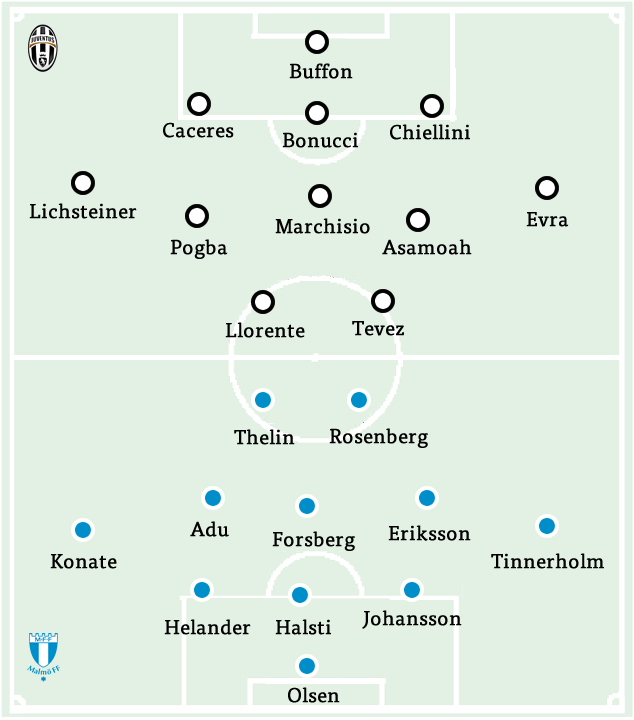 @RavJuventino @DTenenbaum MFF mostly plays 5-3-2. Their coach is by far the best in Scandinavia. Malmo are a dominant side in Sweden, at least in the past few years. Historically they are too, in fact they reached the final of the European Cup in 1979, losing to Brian Clough’s Nottingham Forest side. The dominance has continued into this season, they’re five points in first place, and have only lost two games. They are led by Markus Rosenberg, their 32 year old dominant striker. He’s got ten goals so far in their domestic campaign, while in Champions League qualifying he has scored four goals in six games. However, our man @JuventinoTurin doesn’t seem worried. It’s worth noting that Malmo seem to be more skilled in attack than in defense. In fact, they don’t have the best defense in Sweden, at least statistically. Regardless, expect Malmo to be at their best for the game. 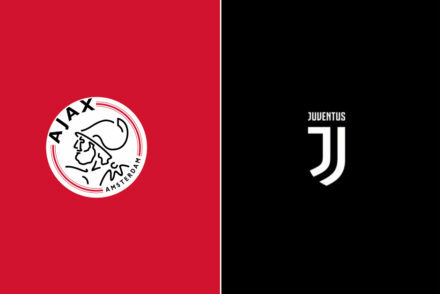 They want to leave their mark in the Champions League too, although to do so they need to beat both Juventus and her greatest weapon, Juventus Stadium. Tomorrow we’ll see what happens, when the Champions League returns.